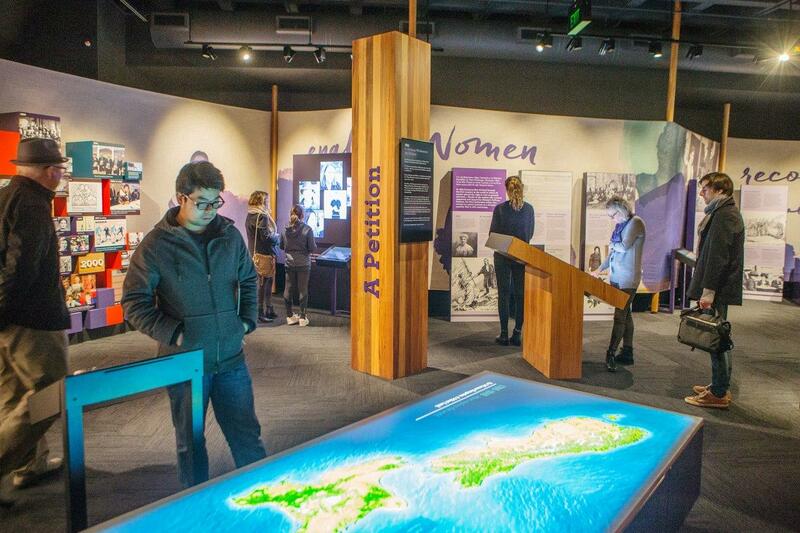 He Tohu is a new permanent exhibition of three iconic constitutional documents that shape Aotearoa New Zealand. In a partnership between Crown and Māori, and with significant input from women’s groups, development of He Tohu began in 2014. The Minister of Internal Affairs has led the partnership on behalf of the Crown, and Māori have been represented by iwi leaders from throughout the country, particularly the Tai Tokerau and Wellington iwi. He Tohu is at the National Library of New Zealand Te Puna Mātauranga o Aotearoa in a stunning new state-of-the-art conservation space, designed to preserve the documents for generations to come. The new exhibition is designed to have a lifespan of approximately 25 years – and replaces the current display of these documents in the Constitution Room at Archives New Zealand Te Rua Mahara o te Kāwanatanga. The exhibition’s three documents will remain under the statutory guardianship and care of the Chief Archivist and Archives New Zealand Te Rua Mahara o te Kāwanatanga. Visit the He Tohu website. More information is available in the latest news, resources, and useful links pages. Above: The He Tohu Document Room houses our three most iconic constitutional documents. Above: The space around the document room features interactive displays.